But if one should want to buy a vehicle, the process is seamless. The staff will facilitate interaction with a dealer close to where you live. The Cadillac House is the first of its kind. The 12,000 square foot space, located in the company’s global headquarters in NYC, opened this summer with a street party and other glamorous festivities. Since then it has hosted fashion shows, glittery parties, and served as a comfortable pad for neighborhood people to hang out. “Cadillac House is meant to be a community meeting place,” remarked Andrew Lipman, Global Communications Director. With a focus on Gen X and Gen Y as a prime target, Cadillac wants the House to be a destination for people who work in this trendy area or just want to stop in to check it out. 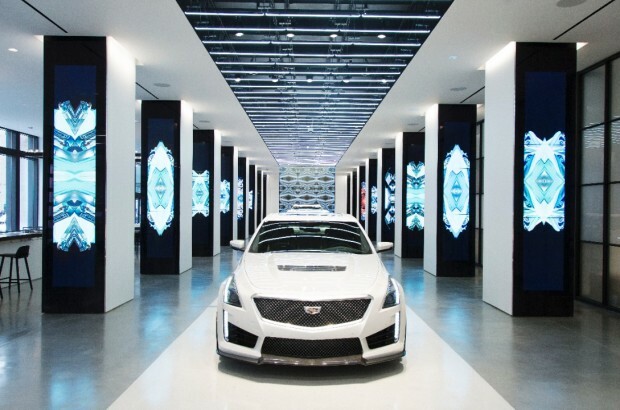 Cadillac House goes way beyond showroom in both layout and concept. A runway of brand new Cadillacs line up front and center; the sidelines are outfitted with plush sitting areas and an on-site JOE COFFEE, a local NYC food and beverage venue. Every three months a fashion designer takes over the Retail Lab, an airy boutique off the main room. The concept is a product of Council of Fashion Designers of America (CFDA) who is in partnership with Cadillac. They created a mentoring program for established fashion designers who compete for a $75,000 grant plus three months of free space to sell their clothes. 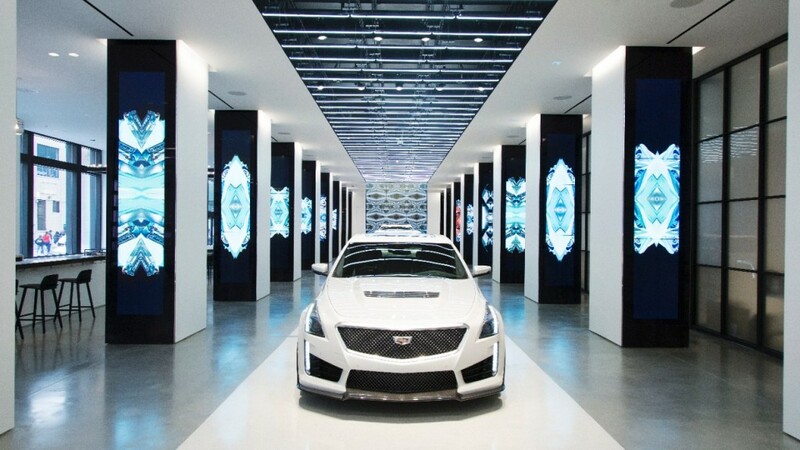 The Cadillac House also partnered with VISIONAIRE, an art and culture magazine to create quarterly interactive installations. You can expect more of these ventures going forward. The next plan is for Shanghai, China, one of the OEMs largest markets. Apparently, the 94-year-old luxury brand is right on the plot. They say their next explorations will encompass virtual reality.